jury selection Archives - В сложной финансовой ситуации приходит на помощь кредит наличными в Казахстане. 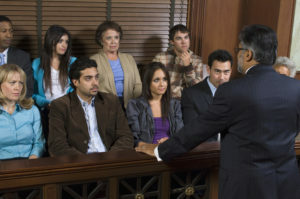 An attorney’s opportunity to question prospective jurors (the jury venire) is an important part of the trial process. This is known as voir dire. Attorneys want to ask tailored questions to determine those persons in the venire that should be stricken for cause, those for which they should exercise a peremptory challenge, and those, quite frankly, they want to sit on the jury panel. There is strategy involved including wanting to develop a rapport with jurors. These are the potential folks that will render a verdict in the case and analyze the factual evidence based on the law (jury instructions). Having the opportunity to speak to them and ask them questions cannot be overlooked! Parties need a reasonable opportunity to ask prospective jurors questions during voir dire. 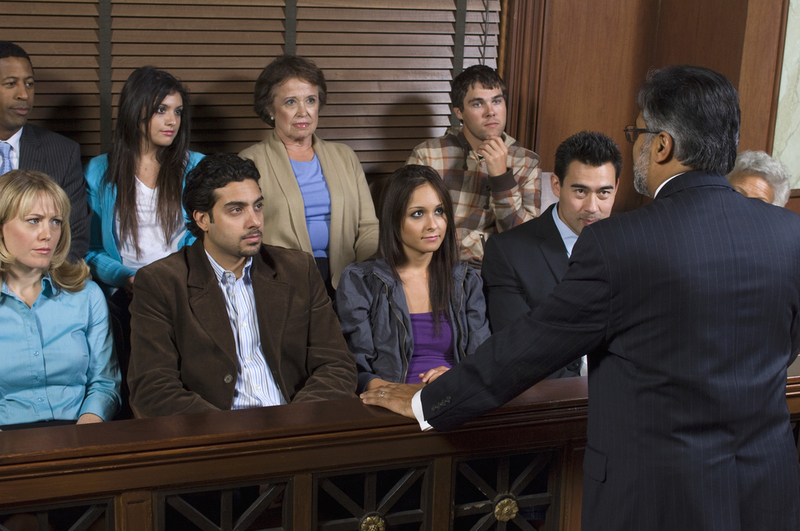 An important part of voir dire is to figure out biases of potential jurors. Obviously, if a juror cannot truly be impartial or fair based on their preconceived biases, then an attorney will want them stricken for cause. But in order to truly determine whether a juror has a bias that should render them stricken for cause, both sides need the reasonable opportunity to question the venire. Otherwise, the determination of a juror’s prejudicial bias will be one-sided based on one side’s questioning without any context from the questions the opposing side will ask. In recent case, Irmi v. Estate of Dale Moyer, 42 Fla. L. Weekly, D2156b (Fla. 4th DCA 2017), dealing with wrongful death associated with cigarette smoking, the plaintiff’s counsel asked the venire whether they felt that if someone has been smoking essentially all of their life whether their family should not be allowed to file suit against the tobacco companies. Numerous jurors felt that the family should not be allowed to sue in this scenario. Such jurors were then asked whether this belief was strongly held and if they had a reasonable doubt whether they could set this feeling aside (establishing the bias of the jurors). The defense counsel wanted the opportunity to question such jurors in private to see if any of them could be rehabilitated (so they are not stricken for cause) but the court would not allow this. The defense counsel then wanted the opportunity to speak with the entire venire panel before the court struck jurors for cause based on their bias regarding long term cigarette smoking. The court denied this, over the defense counsel’s objection, and allowed approximately 30 jurors to leave without the defense ever questioning them. After a jury verdict was entered for the plaintiff, the defendant moved for a new trial arguing that the court erroneously dismissed jurors for cause after the plaintiff’s questioning during voir dire without ever allowing the defense to question these jurors. The trial court recognized this error and granted a new trial because the court prevented the defense from its reasonable opportunity to question jurors about biases based on the plaintiff’s voir dire questioning. The plaintiff appealed the trial court’s granting of a new trial. When an appellate court reviews a trial court’s order granting a new trial, it is done under a limited abuse of discretion standard of review. “A trial court’s discretion to grant a new trial is of such firmness that it would not be disturbed except on a clear showing of abuse.” Irmi, supra, quoting Thigpen v. United Parcel Servs., Inc., 990 So.2d 639, 645 (Fla. 4th DCA 2008). Here, the trial court granted a new trial because it realized it excused jurors for cause based on bias without allowing the defense the opportunity to ever question these jurors. “When a trial court is deciding whether to excuse a juror for bias, the test is whether the juror possesses the state of mind necessary to render a verdict in accordance with the evidence and not based upon preconceived opinions.” Irmi, supra (internal quotation and citation omitted). This means that each side – both the plaintiff and defense – must be given an opportunity to orally question jurors so that the entire context of the juror’s answers can be considered. “A trial court must excuse a juror where there is reasonable doubt whether the juror is impartial. To determine whether such reasonable doubt exists, the trial court should consider the context and entirety of the juror’s responses.” Irmi, supra (internal quotation and citation omitted). In this situation: “The trial court had the unique perspective to reflect upon its own decision to eliminate thirty-one people from the venire without allowing the defense to ask a single question. We provide great deference to trial courts in making such decisions. We agree with the trial court in correcting its initial error and granting a new trial.” Irmi, supra. During the voi dire / jury selection process, a party is entitled to 3 peremptory challenges. This means a party can strike prospective jurors for any race-neutral reason. There are times where a party uses a peremptory challenge to strike a juror and the opponent believes the peremptory challenge is being used for a racially motivated reason (i.e., to strike a particular prospective juror due to that juror’s race or ethnicity). 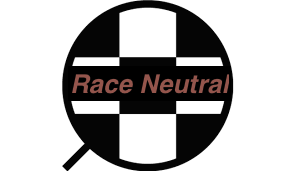 Even when the proponent of the peremptory challenge explains the race-neutral reason for the challenge, the opponent believes that the race-neutral reason is merely a pretext. The Second District Court of Appeal in Spencer, Jr. v. State of Florida, 41 Fla.L.Weekly D700c, a criminal matter, discussed the proper steps or procedure to follow when an opponent believes a peremptory challenge is being used for a racially motivated reason. In Florida, this is oftentimes called the Melbourne procedure or Melbourne hearing after the Florida Supreme Court case Melbourne v. State, 679 So.2d 759 (Fla. 1994). Has the opponent properly invoked the Melbourne procedure by (a) objecting, (b) demonstrating the venireperson’s protected classification, and (c) requesting the court to have the proponent of the challenge state a neutral reason for it? Has the proponent of the peremptory challenge provided a facially neutral explanation for the challenge? Has the opponent of the challenge, following the facially neutral explanation, met its burden of persuasion to establish that the facially neutral reason is a prextext? (a) The State moves to exercise a peremptory challenge for venire person X [prospective juror]. (b) The defendant objects, showing that venireperson X falls within a protected class and requesting a neutral reason for the peremptory challenge. (c) The court finds the defendant’s objection to be sufficient. (a) The court asks the State for a neutral reason for the peremptory challenge. (b) The State provides the reason or reasons that it claims are neutral. (c) The defendant is given an opportunity to respond. (d) The court determines that the reason is facially neutral. (a) The court asks the defendant if he wishes to make a genuineness objection. (b) If the defendant chooses to make that objection, the defendant is permitted to make an argument and explain the facts and circumstances that support the defendant’s claim that the facially neutral reason is a pretext. (c) The State is given an opportunity to respond. (d) The court makes its ruling that the facially neutral reason for the peremptory strike is genuine, explaining as necessary the basis for that ruling. (e) Finally, if necessary, the defendant asks the court to provide any additional finding or clarity in the ruling to preserve the issue for appeal. Thus, the decision the trial court is called upon to make in step 3 has little to do with the substance of the reason given by the lawyer that requests to strike the venireperson; it has to do with the lawyer’s intent. The trial court is called upon to determine whether the lawyer presenting the explanation for the peremptory challenge, as an officer of the court, is concealing an improper motive. Ultimately, the question the trial court must answer is whether the lawyer has truthfully provided a neutral reason or whether the lawyer is either deceiving himself as a matter of subconscious prejudice or, even worse, simply lying to the court. “Genuineness,” thus, is really a question of whether a lawyer is being disingenuous. If it is truly presumed that lawyers exercise peremptory challenges in a nondiscriminatory manner, then the trial court should not be expected to initiate on its own a genuineness challenge of every facially neutral reason. This is particularly true when no party has responded to the neutral reason with a claim that it is a pretext. Given the seriousness of a charge that a lawyer is providing a pretextual reason for a challenge, the opponent should be expected to object to the facially neutral reason as a pretext. It is unquestionably the better practice for a trial court, having made a determination of neutrality under step 2 of the Melbourne analysis, to ask the opponent whether he or she wishes to challenge the genuineness of the proponent’s reason, but we see no reason to reverse a judgment and sentence following an entire trial when the trial court omits this step without objection from anyone. Again, it is the better practice for a trial court to affirmatively ask an opponent to state all of the circumstances the opponent believes support a claim of pretext, but if the trial court omits this step, it should be incumbent upon the opponent to object and ask to place into the record the circumstances that it wishes the trial court to consider and the appellate court to review. Often it may seem apparent to the trial court that the neutral reason is not a pretext. If the court jumps ahead because of the judge’s own thought process, it should be the opponent who has an obligation to slow the decision-making process and to make certain the record is adequate. Under Melbourne, it is the opponent of the challenge that has the burden of persuasion from the beginning to the end.